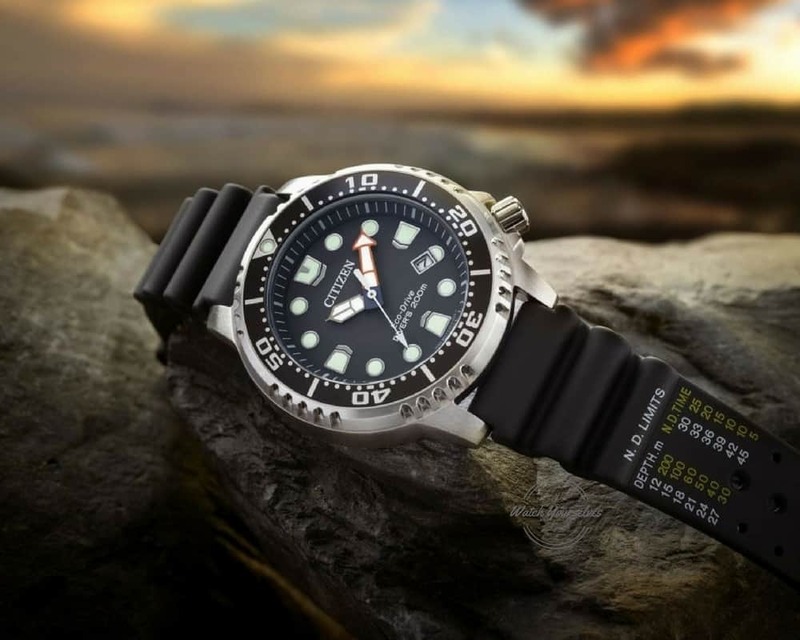 Citizen's Promaster Sea Collection are professional divers watches. 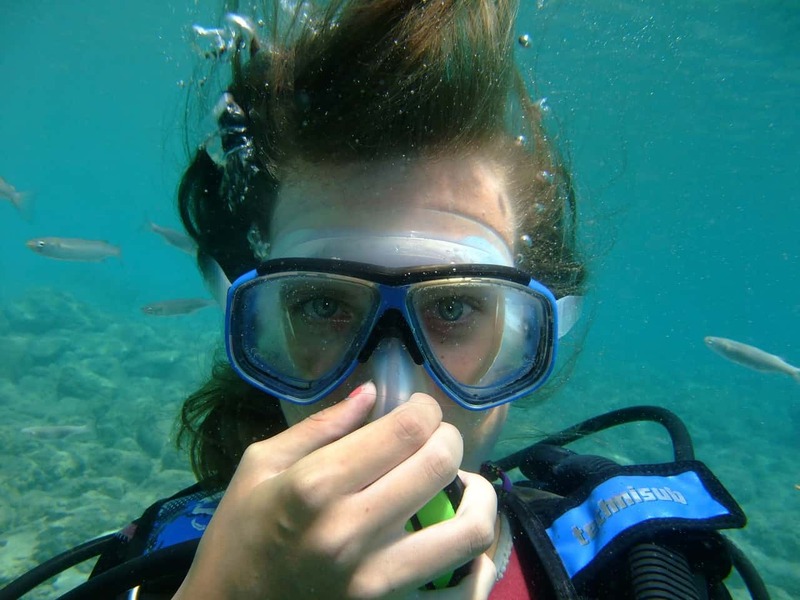 These meet ISO 6425 specifications making them ideal for scuba diving, and other water activities. 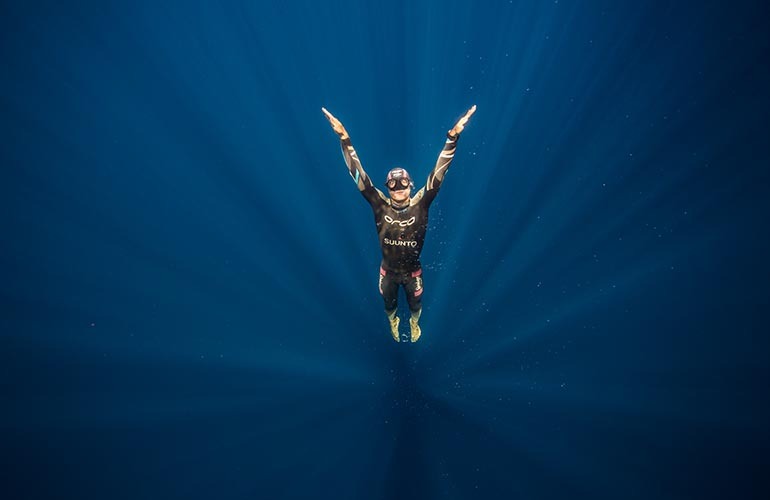 Coupled with Citizen's Eco Drive technology, watches in the Promaster Sea Collection are some of the most popular and affordable diver's watch. 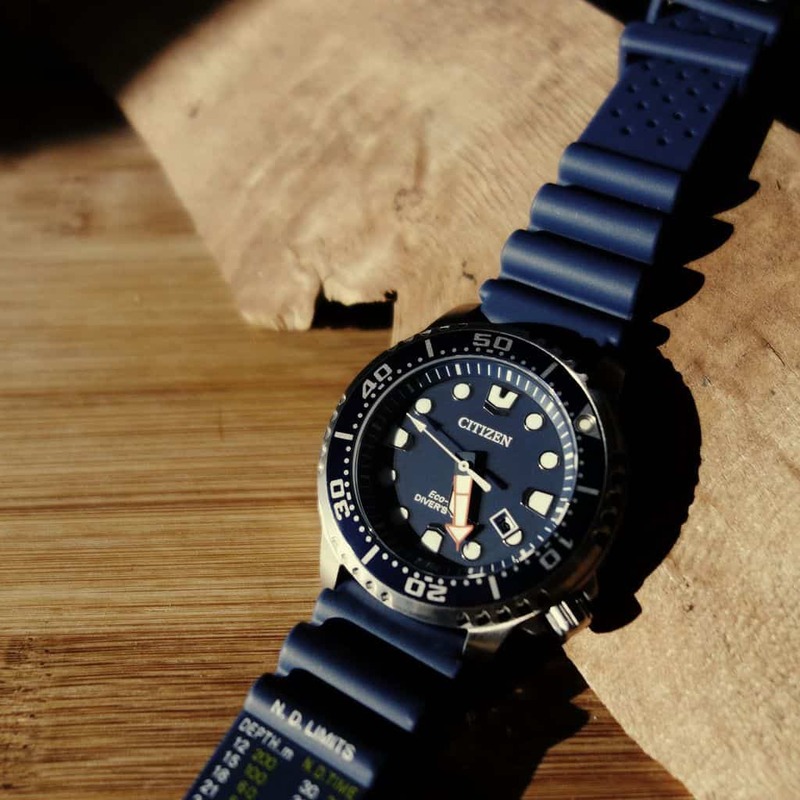 ​In this review, we look at why the BN0151-09L is such a popular divers watch. 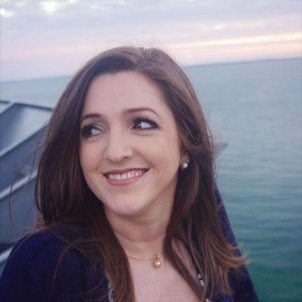 Click on the link below to take you to the answer or your most pressing question, or keep scrolling to read the entire review. Citizen BN0151-09L and the BN0150-28E - What's the difference? What does ISO 6405 Certification mean? 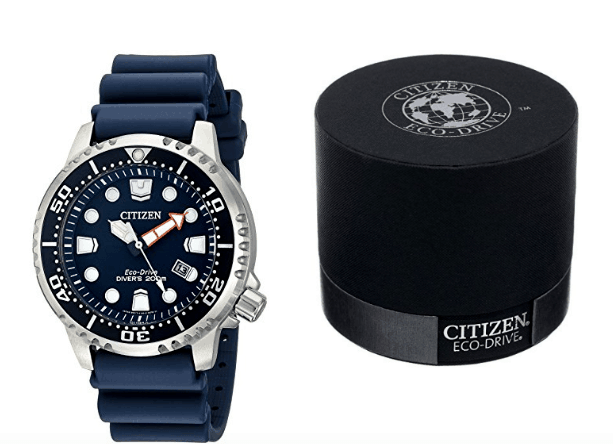 What is Citizen Eco Drive Technology? How long does an Eco Drive battery last? What's the difference between WR200 and Divers ISO 6425 watches? What about Maintenance and Servicing? The Citizen BN0151-09L and the BN0150-28E are part of Citizen's Promaster Sea Collection range of professional divers watches. They are the same size, weight and made of the same materials. The only difference between the two is the color. The BN0151-09L has a dark blue watch face and blue rubber strap, and the BN0150-28E has a black dial, and black rubber band. The Citizen Eco Drive Promaster Professional BN0151-09L / BN0150-28E are very solid and have extremely well-made round cases. The case is stainless steel case and measures 43 mm across with a thickness of 12mm. It weighs 15.2 ounces making this a heavy divers watch, but also one you can easily wear every day. Both have a heavily textured bezel. The BN0151-09L has a very distinctive dark blue background on the watch face and blue Polyurethane rubber strap with a stainless buckle clasp. The BN0150-28E has a black background on the dial and comes with a black Polyurethane rubber strap with a stainless buckle clasp. These have large phosphorescent hands and bold second markings. A non-reflective mineral glass display makes it easy to read even in dark conditions. The lugs of the Citizen BN0151-09L and BN0150-28E measure 20 mm across making it very easy to customize with other watch bracelets or straps. 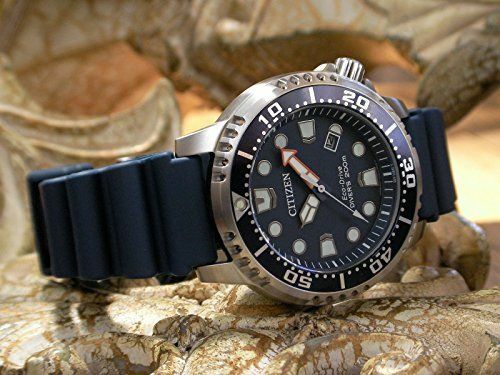 There are many watches available that claim to be divers watches but this is often more about the look of the watch, rather than whether they're actually suitable for scuba diving. To meet ISO 6425 certification means the watch must meet the minimum safety standards that applies to all diving watches. 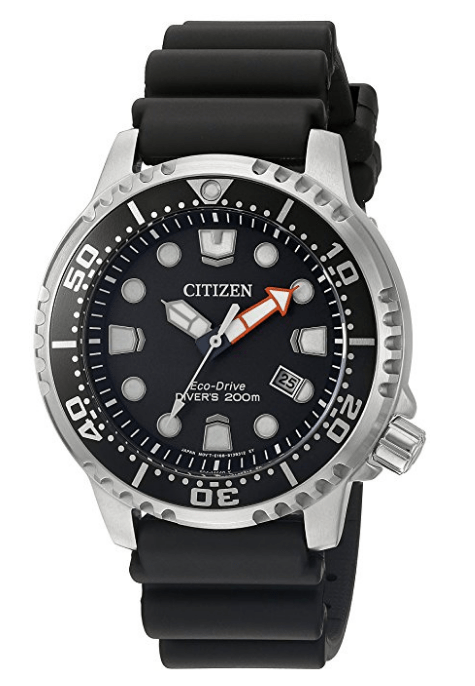 The Citizen Promaster BN0151-09L and BN0150-28E are true divers watches that meets the ISO 6425 standards. As part of ISO-6425 safety precautions, the BN0151-09L / BN0150-28E has a stainless steel bezel that becomes slightly harder to rotate when underwater. This is to minimize the chances of it moving accidentally if knocked. The bezel is unilateral, meaning it can only be turned in one direction. The Promaster range bezel is heavily notched and shows up to 60 minutes of elapsed time. This has a ratchet mechanism so you can hear audible clicks as it's turned. Each click represents half a minute giving you a precise measurement as it's rotated. The zero marker shows the starting point and it has the classic minute markings, with ten-minute markings. Just like the Seiko SKX series of watches, the crown of the Citizen Eco Drive is located at the 4-o'clock position so it doesn't dig into the wrist. The Crown is for setting the time only and is located at the 4 o’clock position. The crown must be screwed in fully to prevent moisture from entering the movement area. Never pull the crown out when underwater, or when the watch is wet. Turn the crown from time to time to prevent corrosion. This also helps maintain the flexibility of its gasket. Citizen Eco-Drive technology uses both artificial and natural light to generate power. Eco drive watches convert light energy into electrical energy using a micron-thin disc of amorphous silicon underneath the dial. The electrical energy is stored in a rechargeable titanium lithium ion battery. Citizen eco drive batteries don't use the caustic chemicals used in ordinary batteries, making these batteries much kinder to the environmental. Exposing the watch to ambient light on a daily basis is generally enough to keep the battery charged. If there is insufficient charge, the second hand jumps in 2-second intervals. As soon as the battery is fully charged, the second hand resumes normal operation. Recharging can vary depending on the season. Generally speaking, the time required for recharging will be longer in Winter compared to Summer when the illuminance of the sun is weaker. Also, in Winter watches tend to be kept under sleeves of jackets and overcoats which reduces their exposure to natural light. You should expose your Eco-Drive to the sunlight or another light source from time to time during the Winter months. If you use an artificial light source to charge it, make sure the watch is placed at least 20 inches (or around 50cm) away from the source so it doesn't become overheated. Helpful Tip: Eco-Drive watches charge in one third of the time if you pull out the crown while charging under normal charging conditions. Eco drive watch batteries don't need to be replaced. Citizen factory engineers suggest that even after 20 years of use, each battery will still have around 80% of its ability to be recharged. The Citizen Eco Drive Promaster Professional BN0151-09L comes with a dark blue polyurethane band, and the BN0150-28E comes with a black polyurethane band. Both have Dive Tables No Deco limits printed on one side. It's a well made, band that is ribbed so that it fits firmly over a wet or dry suit when scuba diving. The band may feel stiff to begin with but will soften quickly, and become very comfortable. This is a classic divers watch style band. The lug width is 20mm which is a common size making it very easy to personalize and swap out different band types. True divers watches are designed to ISO 6425 specifications making them suitable to take the rigors of scuba diving. In comparison to WR200/WR300 standards, divers watches go through more severe water-resistance tests which includes pressure testing. WR200 watches are designed for the people who enjoy water activities and like to wear a watch that isn't going to become unusable if it gets wet. 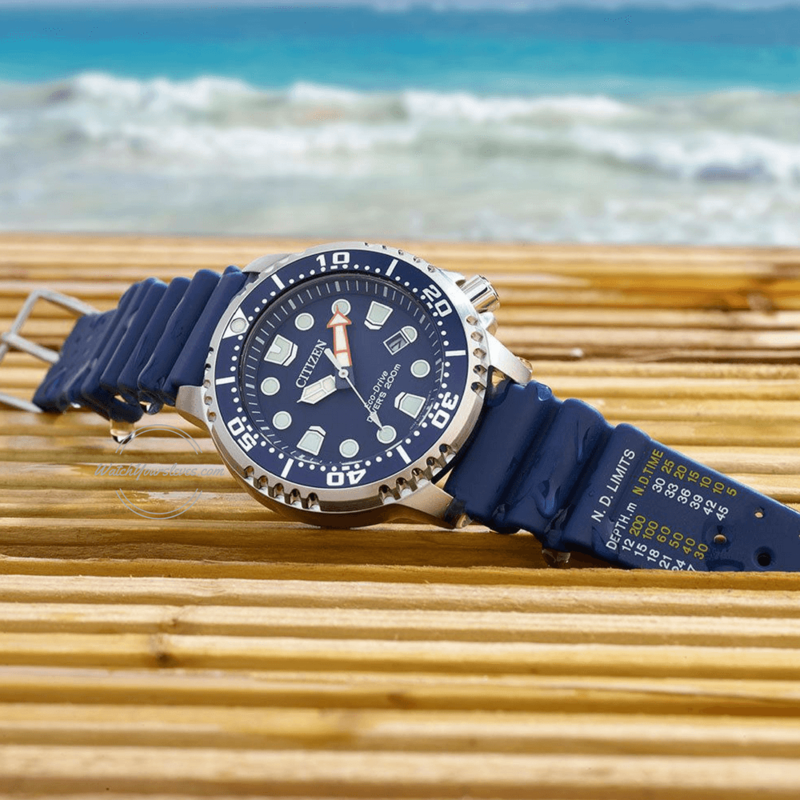 WR200 or WR300 means the watch is water resistance and suitable for most water sports or wearing in the surf. The stainless steel casing of the Promaster BN0151-09L protects against the corrosiveness of seawater. This classic divers watch has a rich blue rubber strap with ripples to allow flexibility and a good fit when wearing over wet suits and dry suits, or under compression. As gaskets and gears age and deteriorate over time, a service by a qualified watchmaker or authorized Citizen Service Center is recommended every 2 to 3 years. Regular servicing will extend the life of the watch. This is a large, heavy classic Mens Diver's watch. The case has a brushed aluminium look and it stands up well in comparison to its more expensive competitors. The rubber strap of the Citizen Eco Drive Promaster Professional is comfortable and easily supports and compliments the watch face. The strap can feel a little stiff to begin with but becomes softer and more comfortable to wear after a short period of time. The illumination on the hands and hour positions is very good, and easy to read at night. With eco-drive technology and no battery changes, make this a superb low-maintenance and affordable choice. My husband was given the Citizen BN0151-09L for Christmas last year, and he loves it! ​It's his new favorite watch. He gets asked why he wears such a good watch to work. He says, because it's a strong, robust watch that can take the odd accidental knock. Plus it looks beautiful. People really do comment on his watch all the time.